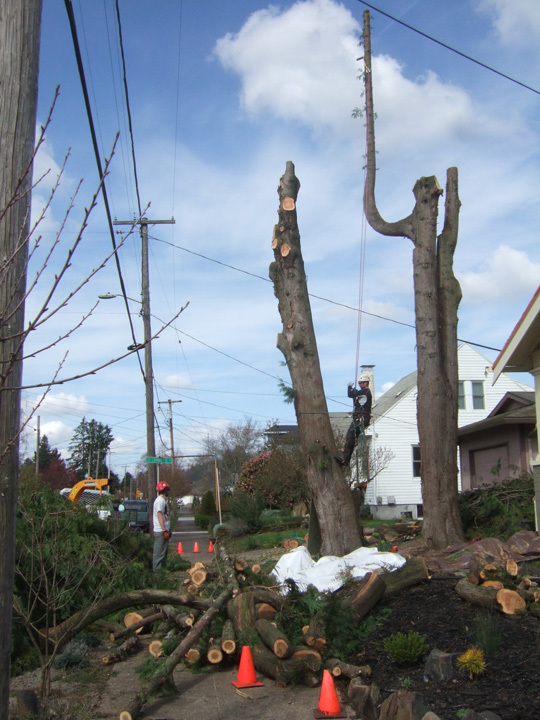 Special thanks to 62nd Ave neighbors, Mace and Junko, who had two humongous pine trees cut down this week. They have donated two trunk pieces which we can use as benches, two truckloads of wood chips and some great straight limbs that we can use in the landscaping somehow. We are off to a great start.